The Common eider (Somateria mollissima) is a large sea duck from the family of water birds that includes ducks, geese, and swans (Anatidae). 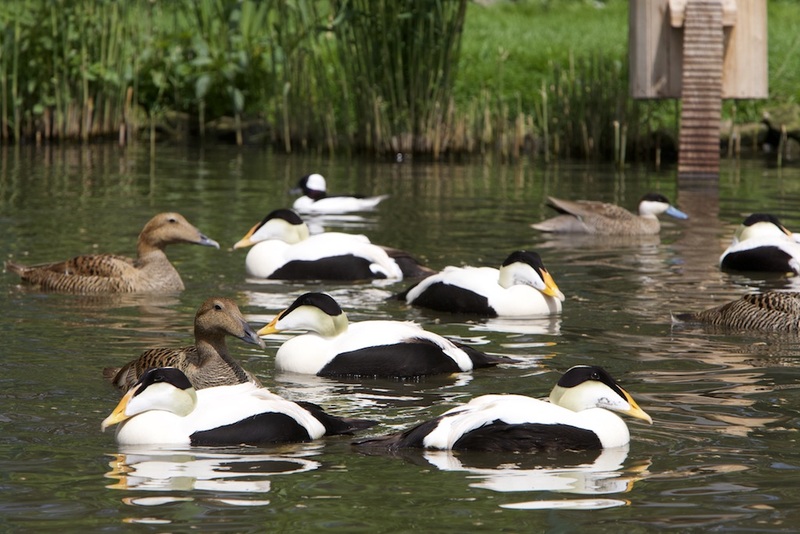 The common eider is both the largest of the four eider species. It is characterized by its bulky shape and large, wedge-shaped bill. Is unmistakable, with its black and white plumage and green nape. Bill being olive green, yellowish green to bright orange amongst the sup species. 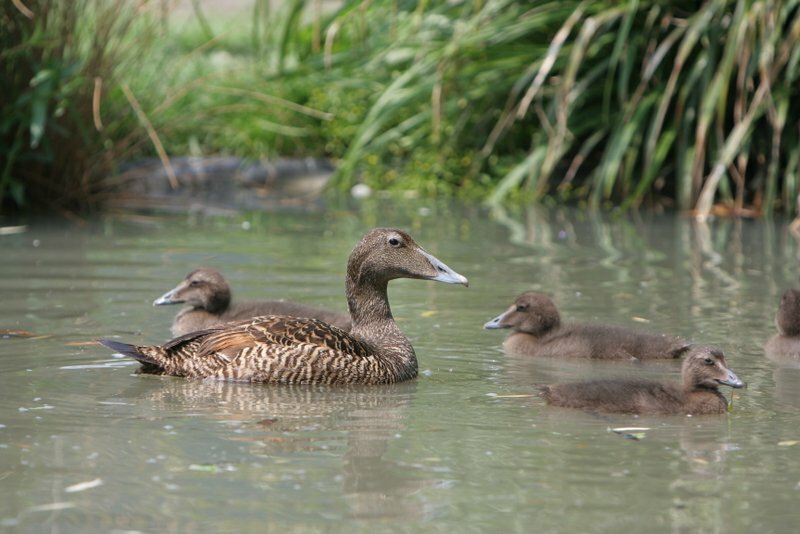 Is a brown bird, but can still be readily distinguished from all ducks, except other eider species, on the basis of size and head shape. The drake's display call is a strange almost human-like "ah-ooo," while the hen utters hoarse quacks. 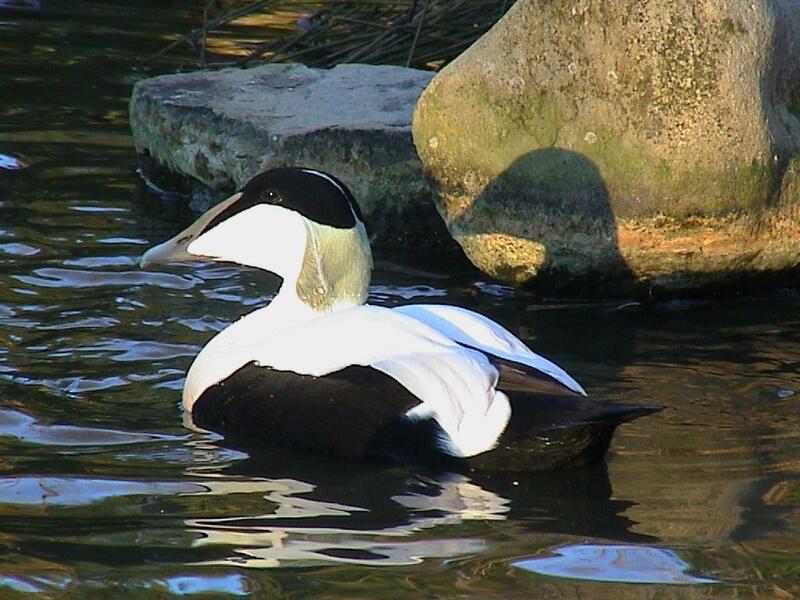 The male (drake) of the Common eider measures approximately 50-71 centimeter. The female measures approximately 50-71 centimeter. The male will weight about 1980-2460 gram. The female will weight about 1800-2240 gram. 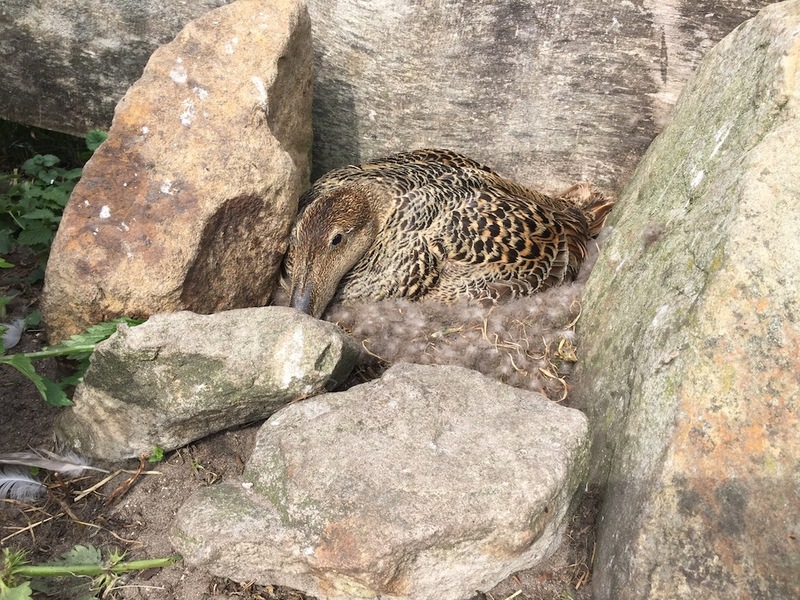 Somateria mollissima mollissima – Common Eider – breeds from NW Europe E to Novaya Zemlya; winters S to Atlantic coast of France and N Mediterranean Basin. Somateria mollissima faeroeensis – Faeroe Is, Shetland Is and Orkney Is, and Outer Hebrides (W Scotland). Somateria mollissima borealis – breeds in Arctic Atlantic from Groswater Bay (Labrador) N to Southampton I and Baffin I, E through Greenland and Iceland to Franz Josef Land; in winter, around coasts of N Atlantic, reaching Gulf of St Lawrence. Somateria mollissima sedentary – Hudson Bay and James Bay region. Somateria mollissima dresseri – breeds in NE North America from Groswater Bay (Labrador) S to Massachusetts; in winter from Gulf of St Lawrence S to Long I, New York. Somateria mollissima v-nigrum – Pacific Eider – New Siberian Is (NE Siberia) E to NW North America; winters Bering Sea and Aleutian Is. 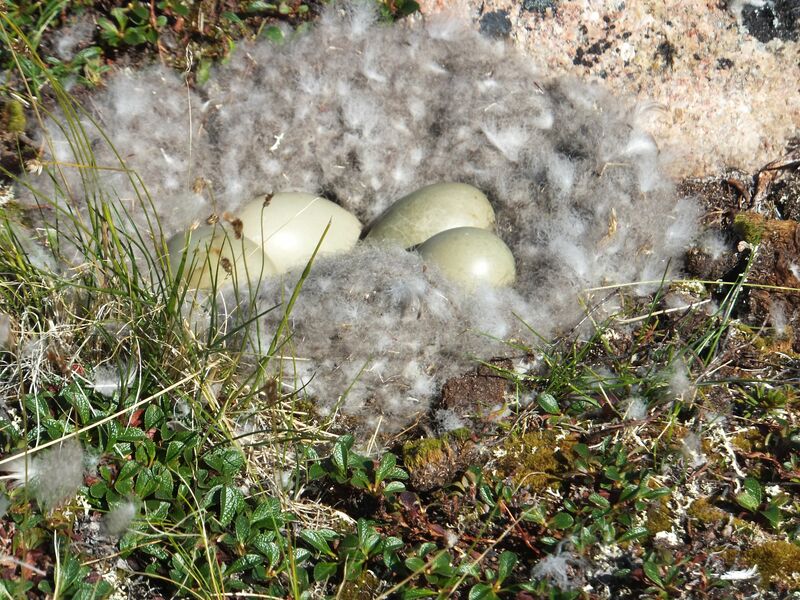 The female Common eider usually lays from 4-6 grijsgroen eggs and incubates them for 28 days. Recommended leg band size for the Common eider is 13 mm. The leg band can only be applied on a young large sea duck at around 14 days old.